Some people REALLY care about carseats, they obsess over them, wait to purchase the newest models, defend their preference to anyone who will listen. I like carseats, they keep my kids safe and they are fun to pick out. 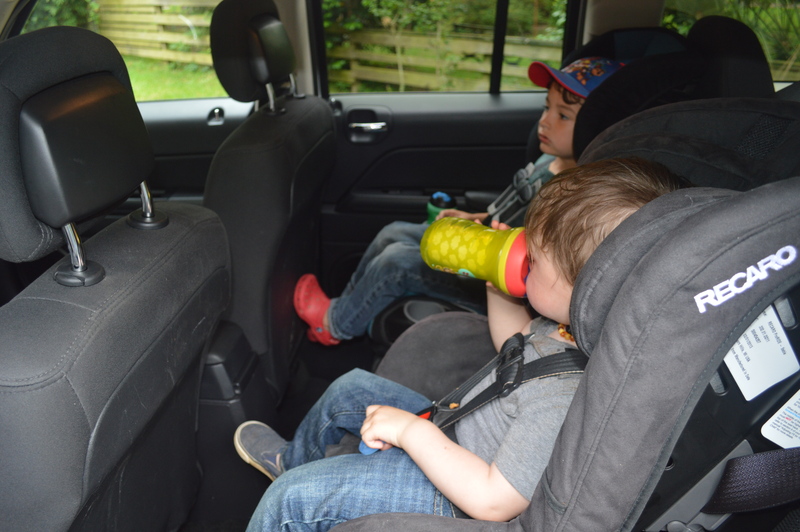 Our past carseats where purchased based on price point, name recognition, reviews, materials and safety upgrades. In the past we have bought: Graco Snugride 30 (before they became super cheaply made), Britax Marathon, Recaro ProRide, Recaro Preformance Ride and Britax Frontier. Some we’ve preferred over others but they’ve all been more than sufficient. Although the Recaro’s win for ease of hight adjusments. We now face the fear of buying car seats yet again, these suckers are not cheap, and this time we have a new dilemma: size. I need to fit 3 car seats in the back of my Subaru XV Crosstrek, it is not a wide backseat and falls into the compact category but I don’t want another car (unless it’s a 4Runner, but I can’t afford a 4Runner). After reading all specs and reviews that I could stomach our search was over fairly quickly. 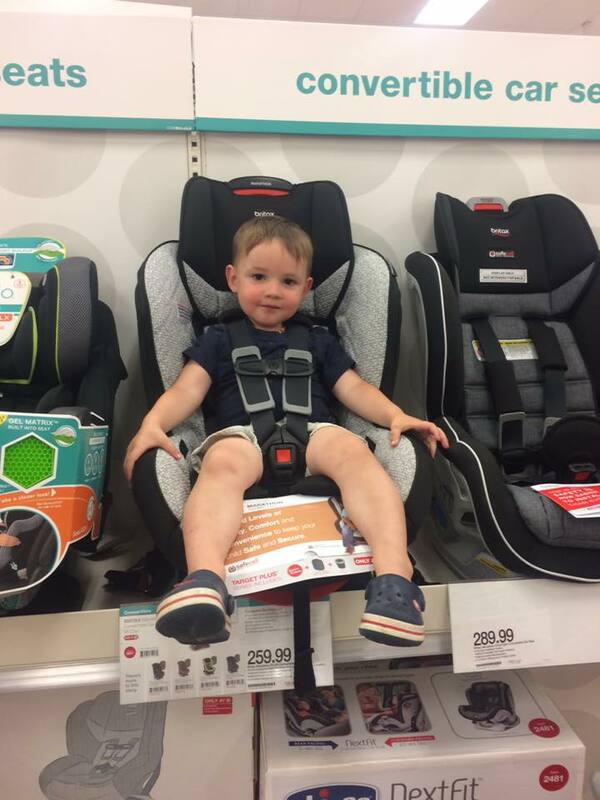 We basically had the choice between a Chicco Keyfit or Graco Snugride for an infant seat and between Diono or Clek for our 2 convertible seats. These are the only choices for fitting 3 across as they are all 17″ at their widest points. I’ve had many a recommendation from experienced moms rave about the Diono, they are versatile, have a very high weight limit, fold flat, and can be used from infancy through booster stage. The Clek has the best reviews, safety specs, a rear facing limit of 50lbs, and can be used from infancy up until 90lbs. The baby seat we aren’t worried about, either will be fine. The convertible was a slight struggle, the Diono comes highly recommended from many mothers and has a lower price point, the Clek is more expensive but definitely a sleeker design, both have amazing specs and safety reviews. In the end the choice was made easy for us, basically the Clek doesn’t expire for 9 years thus ensuring these will be our last car seat purchases ever. One huge downside to all of this is because of where we live I can not see either product in person until we order it. Part of this frustration fuels the desire to open a baby/kids store but I don’t feel the drive for that, instead, I’ll write about it once they come, share my experience for others. I’m sure I’ll have a bit more to say about all of this after I actually have to fit all 3 seats and all 3 kids in, I’m looking forward to it. If I had to go back, I wouldn’t make any different decisions. This is mostly a learn as you go thing when it comes down to it. Obviously the integrity and safety of the seat is most important but if you can’t afford a $300 carseat don’t assume that your baby is any less safe, as long as you use it correctly (read the manual!). Make sure you are using the right car seat for your child’s age and size, do not be in a hurry to turn them around, move them out of a harness or off a booster. Other things you want to consider are safety add ons, especially head supports and side supports, padding of the seat for comfort, ease of adjustments, ease of installation especially if you will be moving the seat to and from other cars, size of car, and the hight/weight/age limits of the seat as well as expirations of the seats. This is a ton to think about, not everyone does, but when it comes to your kids and your money you might want to think it all over.